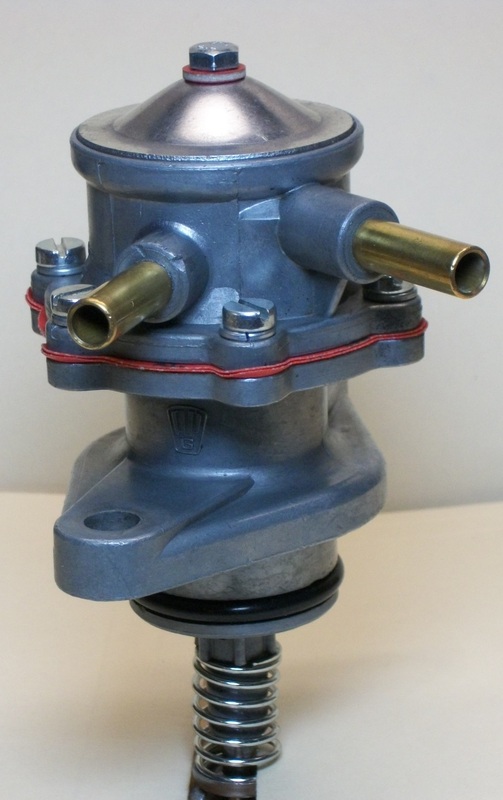 Pierburg, DVG, and APG fuel pumps used in Porsche 356, 912, early 911, as well as older VW models. 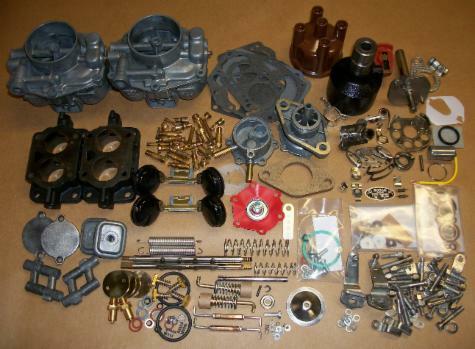 DVG and APG fuel pumps were used in the Porsche 356 and 912 with two versions being the most common. 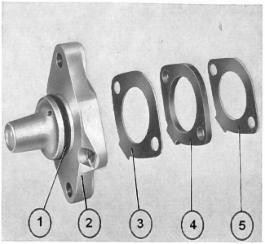 The A/B fuel pump was used on most 356 A and B models before being replaced by the C/912 pump late into the 356B production. 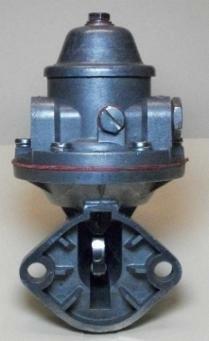 These pumps are interchangeable when the proper flanging and actuator are used, which are integral to the later model. 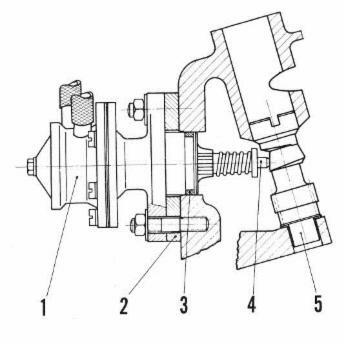 Both operate mechanically from a cam on the distributor drive shaft set over an actuating rod. 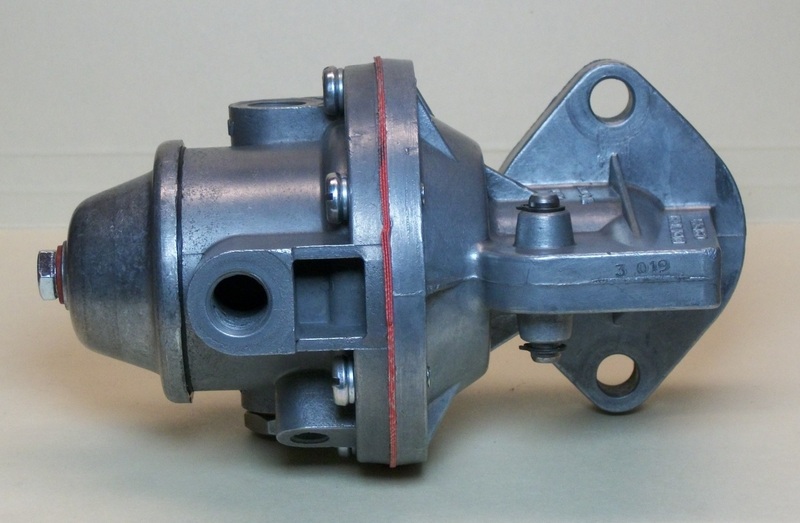 Pumps consist of a cover and housing enclosing a fuel strainer, suction and delivery valves, and the spring pump mechanism actuating the pump diaphragm. 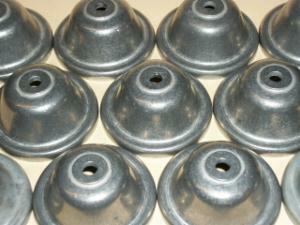 CFI stocks cone top covers for A/B fuel pump rebuilds. These are NLA from most other sources. Over tightening of pump top does not reduce leaking but instead will crush the cover, leading to leaks that can't be sealed. Some repair is possible but covers that are too far gone need to be replaced. Cone tops are replaced with new hardware and sealing washers and fluid tested to ensure that they won't leak. Rebuilding and restoration of fuel pumps includes chemical cleaning and brightening of the zinc alloy body, replacement of damaged parts, hardware replacement, hardware plating as needed, flattening of all mating surfaces, replacement of suction and delivery valves and springs, replacement of diaphragm and spring, testing of rocker arm and spring (replacement if needed), and truing of the top cover (often damaged from overtightening). We will also fit new replacement A/B cone top covers when needed. These are increasingly hard-to-find but we now source them directly from a European supplier. These exact replacement covers will assure no leaking at the top bolt and gasket. Pump and diaphragm assembly is carried out by setting the actuation to ensure proper diaphragm deflection and position. The pump is then dry tested for suction and delivery. 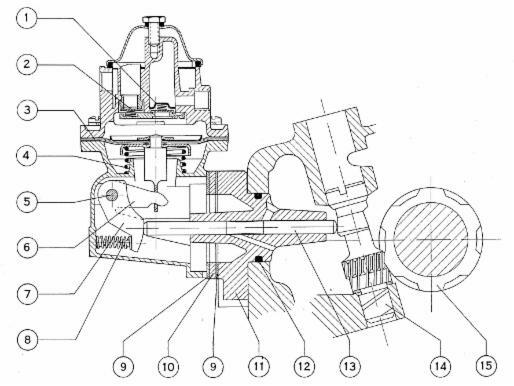 The diagrams below show the components of the 356A/B and 356C/912 fuel pumps. Installation and removal of the fuel pump should follow recommended factory procedures to ensure the proper stroke and resulting fuel pump pressure. Instructions are provided with rebuilt pumps. The fuel pump housing should be filled with grease prior to installation to ensure adequate lubrication throughout its operation lifetime. CFI also stocks fuel pump intermediate flanges and spacers for A/B style pumps. Please inquire about availability. A description of the ZAMAK cleaning process can be found in Bruce Smith's article on Cleaning Zinc Alloy Fuel Bodies in the March/April 2014 issue of the Porsche 356 Registry magazine.